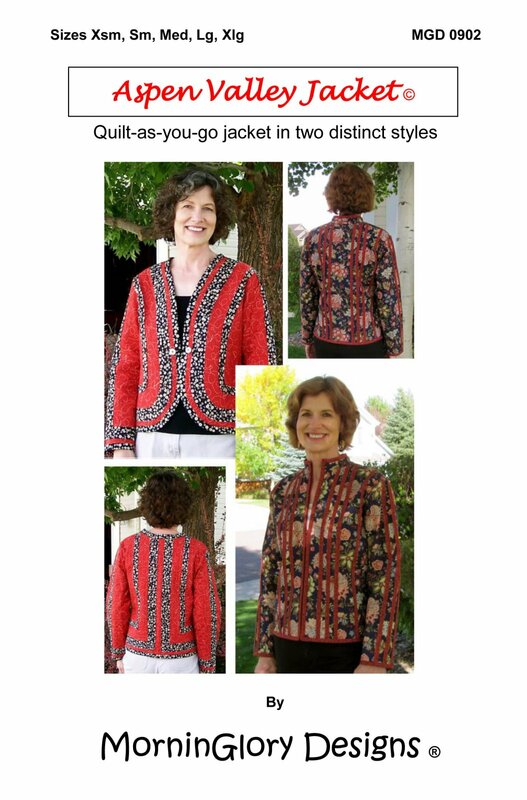 Get two distinctive jackets with one pattern—a zip front jacket and a ballero style are included in this pattern. Both styles are hip length and are designed as whole cloth jackets with raw edge bias strips sewn on to quilt through the layers. Use your own design for sewing on the bias strips or see our suggestions. Bias strips can be chenelled to provide extra texture. Sizes Xsm -Xlg included MGD 0902 Requires intermediate sewing skills.